A process that prompts a single gene to generate millions of supercharged stem cells, which can then turn into any kind of cell a body needs to repair itself, has been patented at the University of Central Florida. Stem cells have long been regarded as a holy grail of sorts in the medical world, because they hold so much potential for treating and perhaps curing some of the most challenging diseases in our time, such as Alzheimer’s, Parkinson’s and diabetes. But a limited supply of stem cells and ethical issues associated with cells from embryonic donors have stalled progress on many fronts. For the past decade, researchers around the world have tried to generate embryonic-like stem cells from adult donors. To achieve stem cells this way, several genes have been required. And many of those genes have been known to trigger cancer. UCF’s approach, called Induced pluripotent stem (iPS) cell technology, minimizes the risk because only one gene (Nanog) is used in the process. 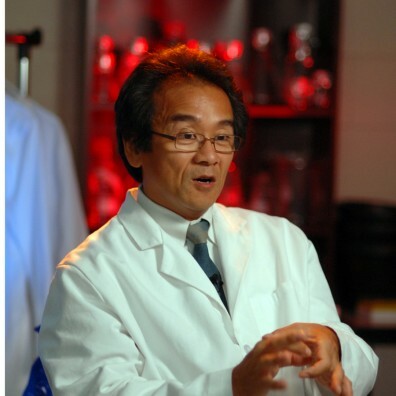 Sugaya has been investigating the potential use of stem cells in treating Alzheimer’s disease for years. He holds dozens of patents including the one for this iPS technology, which was recently licensed to Progenicyte, an emerging biopharmaceutical company Sugaya founded in 2008. Sugaya and Progenicyte will now begin extensive collaborate efforts to advance this new technology from the lab to the treatment of patients. With better access to stem cells, scientists may be able to open the body’s healing power more quickly, giving Alzheimer, Parkinson, diabetes, cancer and heart disease patients hope that their own cells may help them get rid of these diseases, Sugaya said.